Improving the visual impression of your home is one of the worthiest causes there are, however this is not a move that a lot of people take that often. The main reason behind this is your budget since buying a new furniture every time you get fed up with your old one is quite bad move from a financial standpoint even for those who can afford it. 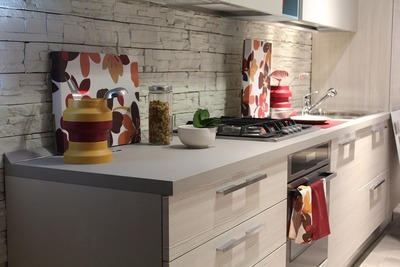 However, where there is will, there is always a way and there are several methods in which you can improve your furniture on your own, without having to hire a professional carpenter. 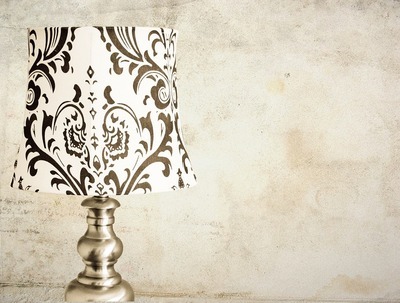 Here are some interesting DIY ideas for your furniture. 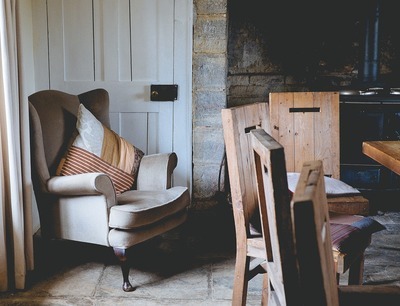 The easiest, and probably the most noticeable change you can make in your home is to go ahead and revamp your chairs. For this simple yet extremely reinvigorating DIY project, all you need to do are two things. First, you need to reupholster your chairs by replacing or coating the old fabric and second, you need to paint the woodwork. Luckily, neither of these two steps are that difficult, and your hardest job here would probably be to choose the suitable texture for your “brand new” old chairs. Still, the texture is not the only thing that you should be concerned with, since the softness of the fabric and general impression that it leaves on touch matters as well. As the time goes by, your furniture will endure a lot and all of it will be shown on its exterior. Unfortunately, this is just the way things are and there is no paint (regardless of the quality) that will last forever. Of course, changing the furniture is the easy way out, but as we already stated, the easy way is not our way. What you can do is repaint your furniture in order to make it look new again. The choice of color is yours but there are two nuances that will always be dominant. Classic wood finish is always popular, however of late painting your furniture white is becoming more and more prominent. Now, what we mostly discussed were ways in which you can restore your own furniture, however this is not the only thing you can do here. For those with a bit of creative spirit and those not afraid to work with their hands, there is always some room for making their own furniture. Regardless what you decide to do (although DIY shelves are usually the first choice), you will need the right tools and this is where things get a bit tricky. First of all, you don’t want to get just about anything, on the other hand quality equipment can be quite pricy. For this reason, it might be worth your while to check out online tool shop and try to find a better deal. The best thing about buying high end tools is that you pay for them once and they usually end up lasting you a lifetime. In the end, when it comes to simple yet elegant furniture solutions for your home, you can always turn to pallets. 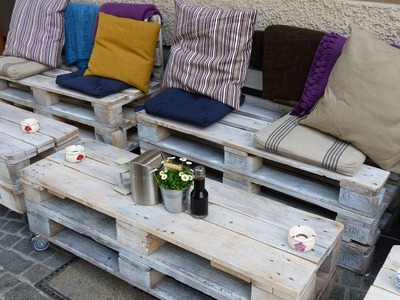 Some claim that pallets are more suitable as the material for outdoor furniture, but at the end of the day it all really comes down to your skill and imagination. In fact, most people dabbling in this field are known for amazingly innovative creations such as living room sofas, coffee tables and even beds. All in all, even for this art, you need a no small amount of patience and a lot of material to practice on before you are content with the results of your work.